The Gambia’s President-elect Adama Barrow who arrived at his country’s embassy in Dakar, Senegal for his inauguration, dressed all in white, and was pictured waving at crowds outside the building before being escorted inside, has been sworn-in as the country’s president. 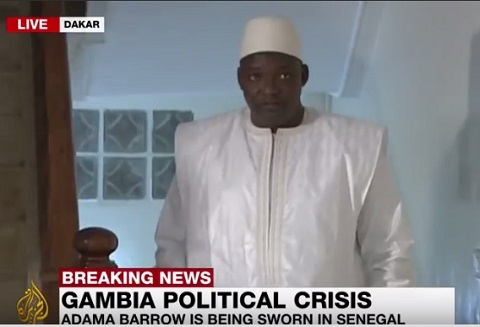 Former security guard, Adama Barrow has been sworn-in as the new President of Gambia at an inauguration in Dakar, Senegal. 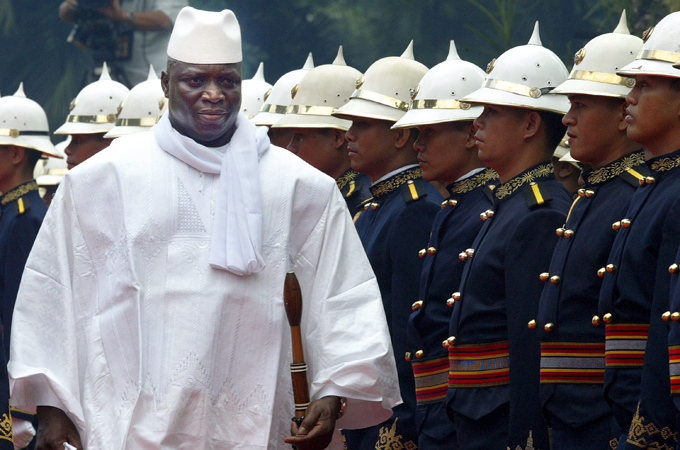 He has already taken the oath of office at his country’s embassy in neighbouring Senegal in a ceremony administered by Sheriff Tambadou, president of the Gambian Bar Association. His inauguration is currently ongoing as at the time of filing this report.